Anthony Weber | Troy Daily News Deputy Will Roberts and his K-9 partner, Bear, from the Miami County Sheriff's Office conduct a demonstration during the Sheriff's Camp Wednesday at the Redman's Picnic Grounds in Troy. Anthony Weber | Troy Daily News Deputy Will Roberts from the Miami County Sheriff’s Office, along with his K-9 partner, Bear, discuss an article found during a search demonstration with participants of the Sheriff’s Camp on Wednesday at the Redman’s Picnic Grounds in Troy. 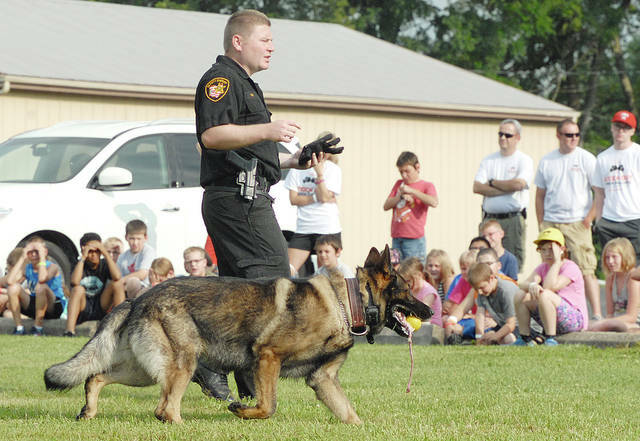 Roberts, along with several other area K-9 units, conducted several demonstrations during the day-long camp for youth. According to Sheriff Dave Duchak, it’s the 14th year for the camp, which brought in more than 100 participants. “We wanted to continue the camp in (former Sheriff Charles Cox’s) honor. It’s good interaction with the kids,” he said. TROY — One hundred and fifteen campers between the ages of 8-12 played games and hung out with police officers on Wednesday at the 14th annual Miami County Sheriff’s Summer Youth Camp. The theme of this year’s camp was “Knock Out Cyberbullying.” Brock Wysong, the head counselor for the event, said officers gave presentations on how to stop bullying and kids played team-building games.  “We’re trying to do games that allow the kids to work together and be nice to each other,” Wysong said. The camp included demonstrations of K-9 police dogs, CareFlight, EMS and police vehicles, speakers, games, food and, at the end of the day, prizes. Megan Wood, a fifth grader from Bradford who attended the camp, said the police dogs were her favorite part, but added the theme was important to her. Wysong said more than 1,400 campers have attended the camp since its inception in 2003. This year there were 115 campers, and at last year’s camp there were just under 100. According to a press release by the Miami County Sheriff’s Office, the camp’s mission is to allow youth to learn to interact with police officers in a positive way. Wood encouraged other children to attend the camp in the future. 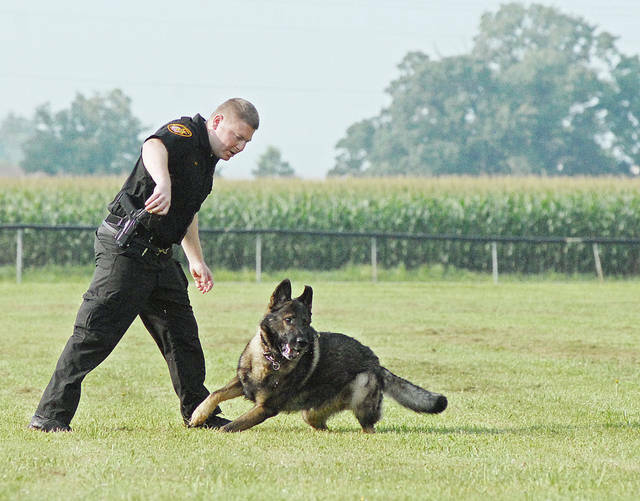 Deputy Will Roberts and his K-9 partner, Bear, from the Miami County Sheriff’s Office conduct a demonstration during the Sheriff’s Camp Wednesday at the Redman’s Picnic Grounds in Troy. https://www.weeklyrecordherald.com/wp-content/uploads/sites/51/2017/07/web1_170719aw_Sheriffs_Camp_0168.jpgAnthony Weber | Troy Daily News Deputy Will Roberts from the Miami County Sheriff’s Office, along with his K-9 partner, Bear, discuss an article found during a search demonstration with participants of the Sheriff’s Camp on Wednesday at the Redman’s Picnic Grounds in Troy. Roberts, along with several other area K-9 units, conducted several demonstrations during the day-long camp for youth. According to Sheriff Dave Duchak, it’s the 14th year for the camp, which brought in more than 100 participants. “We wanted to continue the camp in (former Sheriff Charles Cox’s) honor. It’s good interaction with the kids,” he said.